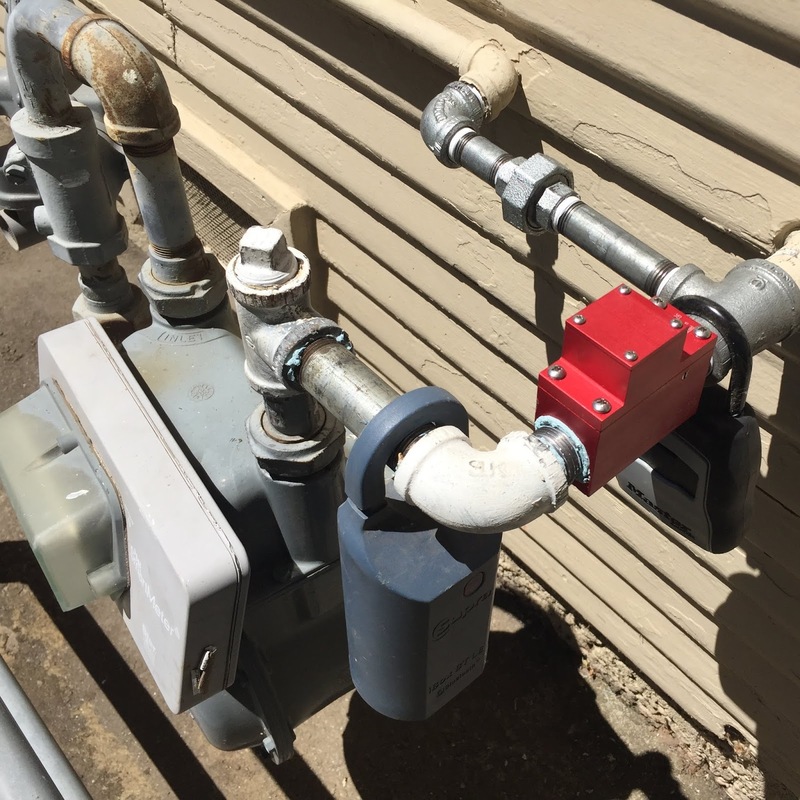 Sacramento Real Estate Blog, by Erin Stumpf: What is that red device and why did it have to be installed on the gas meter of one of my listings? What is that red device and why did it have to be installed on the gas meter of one of my listings? Well, even after nearly 13 years as an agent and after hundreds of sold properties, I still occasionally come across new things in my transactions. You might be looking at that photo wondering what is that red thing on that gas meter? Candidly I had never seen one before being required to install one on the gas meter of one of my listings prior to the close of escrow. It is an automatic gas shut off valve device. When the buyer for one of my listings was in the process of getting homeowners insurance quotes, he had to fill out a questionnaire about the property. One of the questions was "Is the house bolted to the foundation?" This actually mirrors one of the questions on a seller property disclosure, the Residential Earthquake Hazards Report. My seller clients answered this question as "Don't know." This set off alarm bells with the insurance company. You might think, well duh, of course the house is bolted to the foundation. Not so fast...this home was built in 1922. We asked the home inspector to go down in the basement and look for anchor bolts. The manner in which the home was constructed either concealed the bolts (probably likely), or the house was indeed not bolted to the foundation. So is a house that is not bolted to its foundation un-insurable? That alone apparently won't disqualify the home from being eligible for a homeowners insurance policy, however the insurance company mandated the home have an automatic gas shut off valve installed prior to issuing a new insurance policy. Why? We were told that in the event of an earthquake, if the home somehow shimmied off its foundation, this shut off valve would at least prevent a natural gas leak. Ok then. I called several plumbing contractors to have this thing installed, and literally none of them even knew what I was talking about when I described what I needed. Apparently this is way more common in the bay area, but nobody locally here in Sacramento had ever seen one or heard of it being required. So...$720 later, the buyer is now the proud owner of a cute home in Land Park with a shiny red gas shut off valve.